The Museum Café is cosy spot in the heart of the museum where quality is our key priority. Enjoy a good cup of coffee in the sun or a delicious lunch made with fresh products. 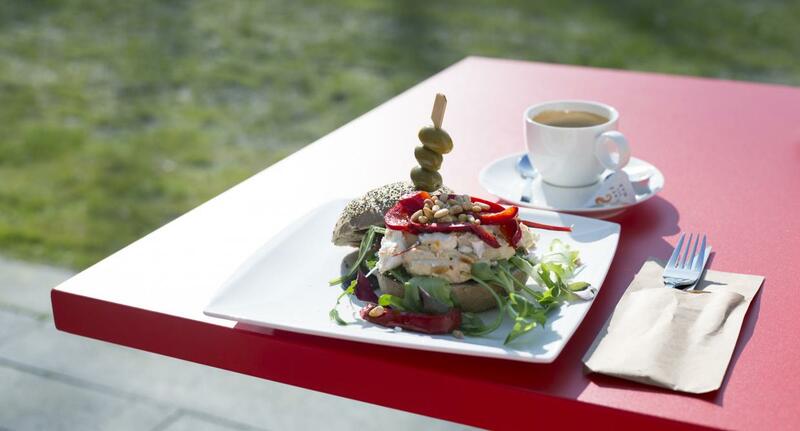 After visiting the exhibitions, take a break at our lovely museum café. Enjoy a cup coffee with pastry, an amazing lunch, or a drink, with a view of the garden and its sculptures. Like the Sculpture Garden, the Museum Café is accessible free of charge during the opening times of the museum.